Celtic are currently best-placed to sign defender Jason Denayer from Manchester City in the next couple of weeks, according to Nieuwsblad in Belgium. The 23-year-old is being pursued by three clubs, two of them having previously had him on loan – Celtic and Galatasaray. Serie A side Torino have also recently entered the race for the 8-cap Belgium international. It is Celtic who are said to have the best chance of signing Denayer as it stands, with a return to Galatasaray complicated by the ongoing economic crisis in Turkey. The club have offered €3million for Denayer but can’t guarantee payment, putting a return to Istanbul in doubt for the versatile defender. Meanwhile, Torino, who are considering both Denayer and Nantes’ Koffi Djidji to reinforce their defence, have not met Manchester City’s conditions. Celtic could be about to lose a former City player and Denayer’s compatriot, Dedryck Boyata, with La Liga’s Sevilla trying to push a deal through for him according to reports in Spain. Boyata, who saw a move to Fulham knocked back by Celtic during the English transfer window, could be directly replaced by Denayer in the heart of Celtic’s defence. 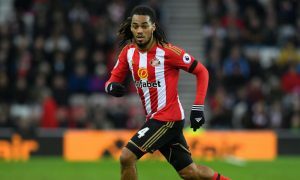 The future of Jason Denayer undoubtedly lies away from the Etihad Stadium, but where he lands at is still unclear. From Belgium though, the belief is that Celtic are now in pole position to re-sign the 2014-15 Scotland Young Player of the Year.